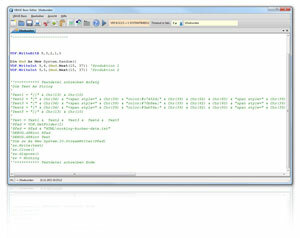 VBASE Editor. Development tool for automation projects. 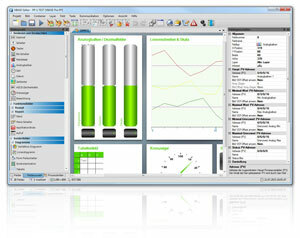 Consistent configuration of HMI & SCADA. The VBASE Editor is the consistent configuration tool that supports you in the development of applications for Windows PCs as well as for the VISAM-HMI platform "VTP". 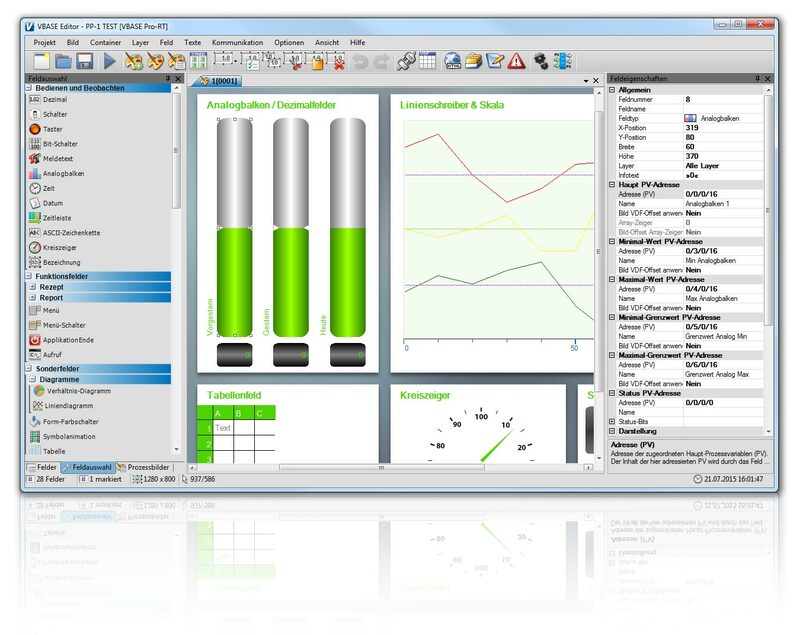 No matter in which world you are moving, HMI or SCADA, with the VBASE Editor you always get the maximum from your visualization software. Effective working, reduced development times. The VBASE Editor makes it easy to get started with a user-friendly interface and helpful wizards that help you create projects and process pictures. Pre-arranged coupling presets allow fast connection to remotesystems. The entire application can be operated by drag & drop and supports layers for the simple grouping of elements within the process picture. The link assistant allows you to connect your remote system to the project in less than a minute. 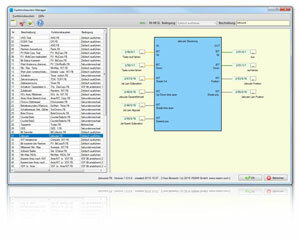 Functional blocks facilitate the use of frequently used calculations and functions. For example a consumption meter is integrated within a very short time and is then available with over 70 pre-calculated values throughout the project. 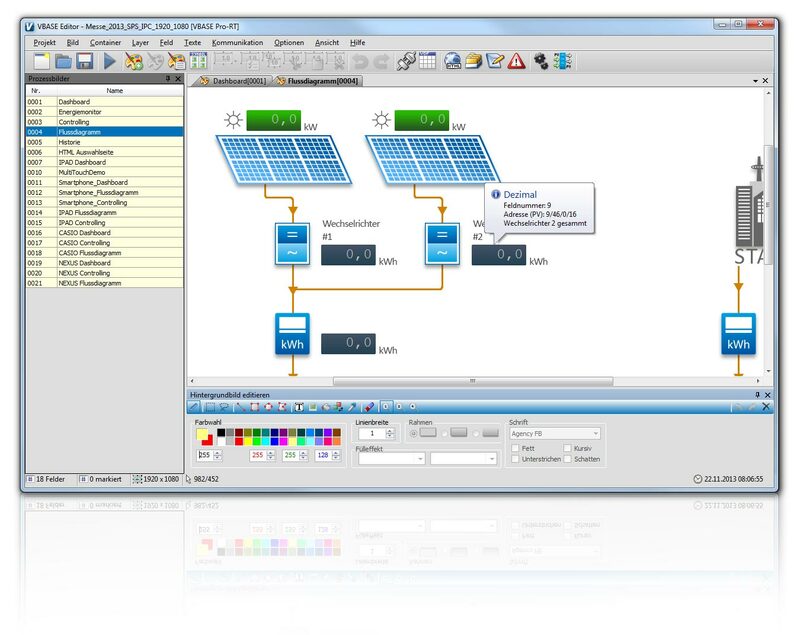 The indexed addressing makes it possible to reduce the configuration effort for larger projects by the multiple use of process images and the mapping of different scenarios in one image. VBASE also provides a number of options for visually appealing visualization. For example, control elements can be used with predefined effects, 3D frames, gradients, or rounded corners. Simple graphical work on process pictures, symbols and other elements can be done directly in VBASE with the integrated graphics editor, without calling external programs. An extensive symbol library with ready-made graphics for use in your projects is also integrated. 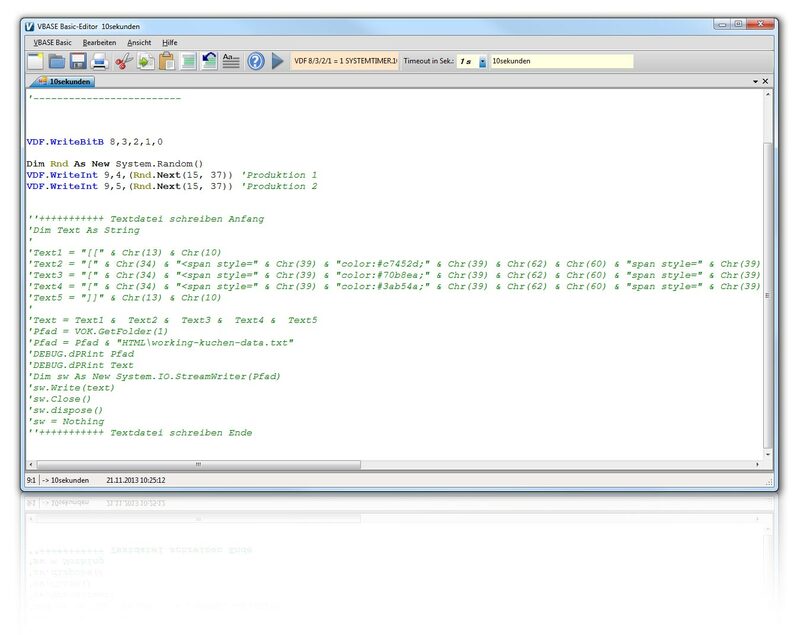 The VBASE Basic Engine is a completely integrated programming language based on Visual Basic. 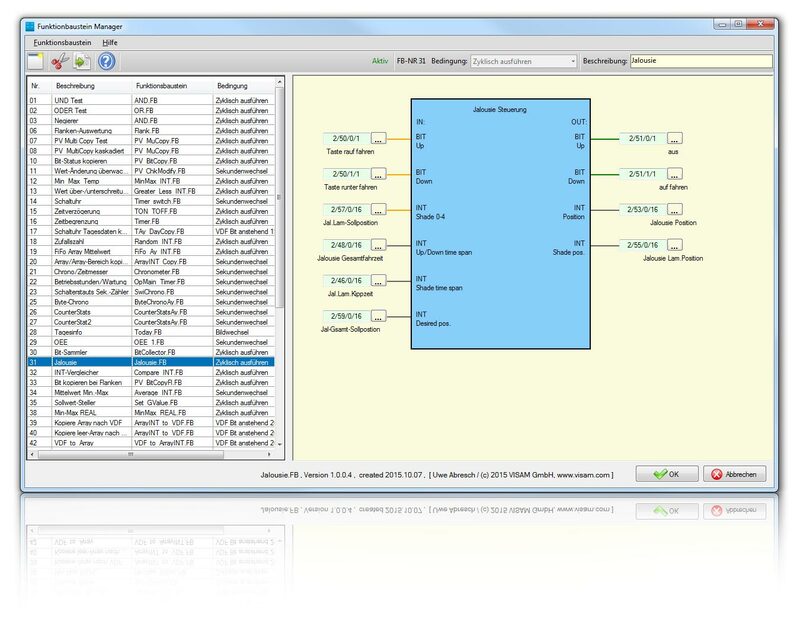 This makes it possible to extend the functionality of the system individually or to relocate functions from the remotesystem to the visualization.